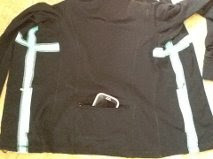 I have taken up running for health reasons and I needed a jacket with a back pocket to house my phone and ipod. So when I found this nice running jacket from the Value Village that did not have any suitable pockets, I decided to add one in the back. 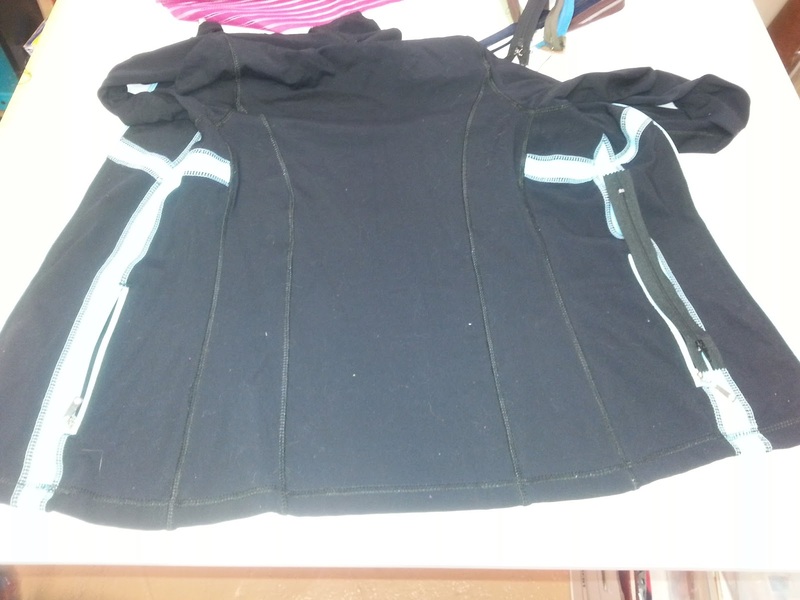 I decided it was going to be zippered, for security reasons, and a welt pocket. As you can see, no pocket in the back. After a couple of seams and maneuvers, voila ! A perfect little house for my phone while I go running. You can get all the details on my blog: Sewliltime.